Co-founder and Director Growth at Balanced, a payments platform for online marketplaces. Previously, he was the 1st employee and head of data acquisition at Milo.com, which is now part of eBay. 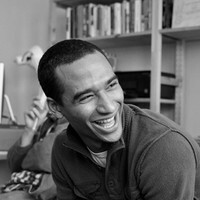 Jareau started his career as a teaching fellow at the Meltwater Entrepreneurial School of Technology in Accra, Ghana. Jareau studies electrical engineering and entrepreneurship at the University of Pennsylvania and is originally from Tucson, Arizona.